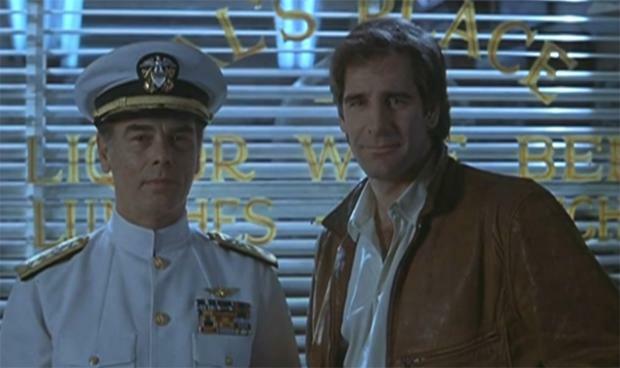 I used to enjoy watching Quantum Leap. The only reason I stopped was because the show ended. When I went to Korea in 1993, I missed a bit of the last season. However, as you'll see in a minute, I really didn't miss much. I'm not saying I no longer like the show, but I'd forgotten how stupid it was at times, particularly there towards the end. Hulu has the show. I've been watching the episodes from the beginning. There have been a couple that I didn't remember, so I may have missed them along the way. I've still missed one episode. Season 2's "Disco Inferno" isn't available from Hulu. I don't know why. Maybe something to do with the music from the episode and difficulty in getting streaming rights. On the other hand, it's available for streaming through Amazon, so that may not be the reason. Anyway, I managed to watch 94-96 of the 95-97 episodes. It depends on how you count them. You see, the first episode was a TV movie that was broken into two episodes for reruns and syndication. Season 5 opened with the two hour episode about Lee Harvey Oswald. So, if you count them as two episodes each, there were 97 episodes. If you count each two-hour episode as a single episode, there were 95 episodes. Either way, I've missed one, the aforementioned "Disco Inferno." Oh, and I'm not even attempting to count the Season 3 two-parter "The Leap Home Parts 1 & 2" as a single episode, since it aired on two separate nights. The episodes aired as separate episodes. Neither am I counting Trilogy as three, or even two, episodes. They had separate o -screen credits, and separate production codes, so I'm counting them as separate episodes. The pilot and Oswald actually double-length episodes that were broken out in reruns and syndication. The other multi-part episodes were not broken apart after airing. They were always as they were. Anyway, the whole concept of traveling through time has always been fascinating. The show was well written -- for the most part -- and well acted -- for the most part. And, I've enjoyed the episodes. For the most part. Sure, there's the suspension of disbelief with any science fiction show. But some episodes were just too much. I did enjoy most, though. The pilot, where he leapt into a pilot and broke Mach 3, was an enjoyable episode. The one based on Driving Miss Daisy was good, even though it wasn't based on movie Driving Miss Daisy. The episode "The Color of Truth" first aired on 3 May 1989, and Driving Miss Daisy didn't hit theaters until 15 December 1989. It could have been based on the play, which opened off-Broadway in April 1987 and was on nation tour in 1988. Those episodes were the ones that grabbed me as a fan and didn't let go. Season 2 was when things first hinted at the things I didn't like. Remember the one where the housekeeper turned out to be a ghost? Yeah, I didn't care for that one. If they hadn't shown her fading out, but had her leave and then had the drowning victim turn out to greatly resemble her, that would have been fine. But, no, they showed her fading out, meaning she was a ghost. I'm willing to accept junk science. I'm not willing to accept ghosts. The episode "The Boogieman," where Sam inspired a young Stephen King, was another that crossed the line. The evil Al and the evil disappearing goat ruined it for me. The one where he leapt into the chimpanzee? Not a fan. The one where the lady he ran over in the cab was an angel? Too much. Just like the one where he found the mummy in Egypt. Old Ptah-Hotep coming to life and killing the bad guy? Yeah, not a fan of that. The last season featured Evil Leaper was kinda hokey. It seemed like one of those plotlines that they added to spice up the show. Like when The Time Tunnel added the silver aliens, taking the show away from its time travel roots. Jumping the shark, so to speak. The final season also had the one where Sam's character being taken off by the aliens in the flying saucer. Oh, and the one where the guy ended up actually being a vampire. And the one where Bigfoot helped out. All that, plus they changed the theme song to an arrangement that seemed better fit for The A-Team, meant that, to me, the final season wasn't that great. I did like the final episode, though, even though it was a bit odd. Al got a happy ending, even if Sam never made it home. Yeah, I'm complaining a lot about some episodes of the show, but overall, I enjoyed the show. I don't know if it would do for there to be a reboot of the show or bring it back in any way. It was a product of its time, and I enjoyed. Well, most of it. It's over and done. But, with Hulu, I can watch it again any time I want. And, I did. But I'm done now.